Since the early 1990s, when synchronization of chaotic communication systems became a popular research subject, a vast number of scientific papers have been published. However, most of today's books on chaotic communication systems deal exclusively with the systems where perfect synchronization is assumed, an assumption which separates theoretical from practical, real world, systems. This book is the first of its kind dealing exclusively with the synchronization techniques for chaotic communication systems. It describes a number of novel robust synchronization techniques, which there is a lack of, for single and multi-user chaotic communication systems published and highly cited in world's leading journals in the area. In particular, it presents a solution to the problem of robust chaotic synchronization by presenting the first fully synchronized, highly secure, chaos based DS-CDMA system. The book fills a gap in the existing literature where a number of books exist that deal with chaos and chaotic communications but not with synchronization of chaotic communication systems. It also acts as a bridge between communication system theory and chaotic synchronization by carefully explaining the two concepts and demonstrating how they link into chaotic communication systems. 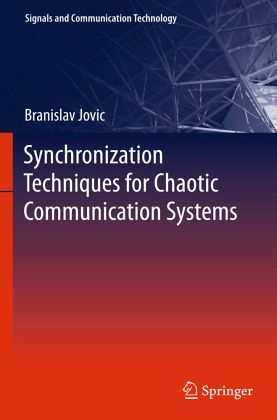 The book also presents a detailed literature review on the topic of synchronization of chaotic communication systems. Furthermore, it presents the literature review on the general topic of chaotic synchronization and how those ideas led to the application of chaotic signals to secure chaotic communication systems. It therefore, in addition to presenting the state of the art systems, also presents a detailed history of chaotic communication systems. 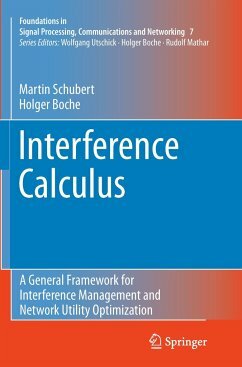 In summary, the book stands out in the field of synchronization techniques for chaotic communication systems. From the content: Introduction to multi-user mobile communication systems.- Chaotic signals and their use in secure communications.- Chaotic synchronization, conditional Lyapunov exponents and Lyapunov's direct method.- Chaotic synchronization of maps.- A novel mathematical analysis for predicting master-slave chaotic synchronization.- Application of chaotic synchronization to secure communications.